Italian epic heavy metallers Etrusgrave have been honing a particular brand of highly melodic Rainbow-esque majesty since 2004 when ex-Dark Quarterer shredder Fulberto Serena started his new band. In a time when classic heavy metal had gone back to the shadows, their distinct sound gradually took shape, first rearing its head in a solid if somewhat stilted debut album in 2008, Masters of Fate, and finally nailing the idea with 2010’s Tophet benefitting from stronger rhythms and more song variety. 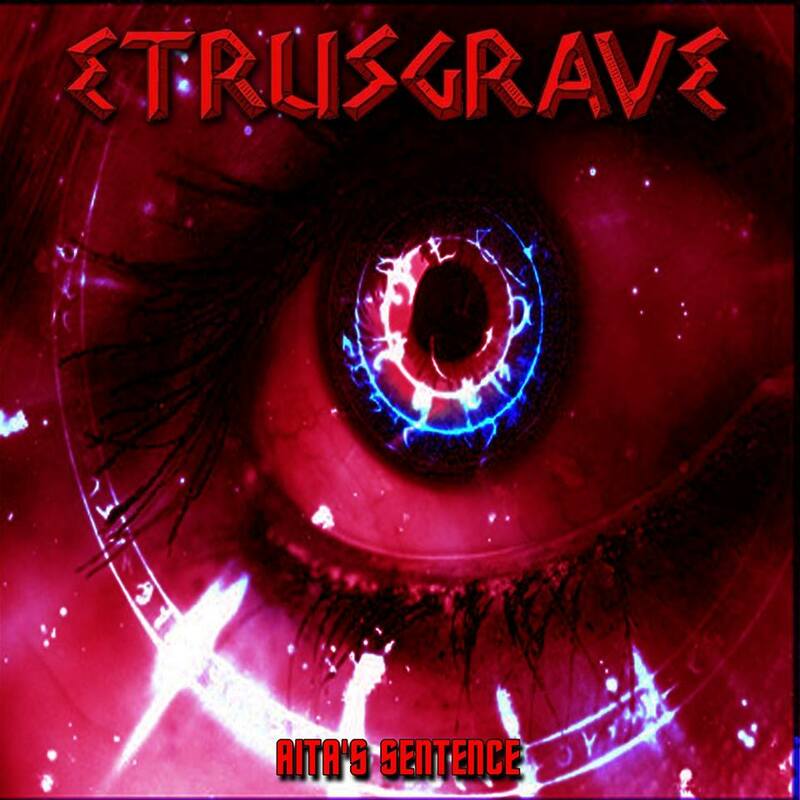 After six quiet years, Etrusgrave return to see if lightning can strike twice and for the most part, capitalize on what they’d initially gotten right. At the same time, they further explore the interstice where harder rock becomes heavy metal for a sound that wouldn’t be too out place between 1979 to 1983. Like with Australia’s Tarot, Wytch Hazel, Corsair, and Gygax, Etrusgrave hearken back to the roots of heavy metal itself, bypassing reverence of NWOBHM for the primal era from which it spawned. Compared to those bands, they lean much more towards metal as a whole with the steady stream of emphatic, melodic riffing and more climactic song buildup. It’s definitely oldschool in spirit yet it sounds like a band armed with the ingredients of the 70’s utilizing them with the mindset of the early 80’s. Compared to other recent revivalists and genre veterans such as Attacker, Satan, Axevyper, and Rocka Rollas these Italians aren’t too riffy. Familiar tropes like fast single string picked racing and staccato gallop charges are absent. In their place is a lot of chordal strummed rhythms, quite counterpointing the airy, hollow falsettos of Stefano Giuggioli but rather providing an additional layer of harmony that wraps around it. It’s a fundamental change of objective from most neo-traditional metal with its heavy emphasis on streamlined chord progressions but Fulberto makes it work with his excellent lead playing, weaving in a varied array of elegant melodies that give a lot of character to what might otherwise be almost like root-note placeholders. There are crunchier moments backed by more muscular playing that almost brings to mind groups like the UK’s Legend and earlier Manowar but these are mostly to help keep the songs rooted and not too common. Another star attraction is Fulberto’s lengthy, extravagant soloing. He’s what I’d call an “aggressive expressionist”, rooted in the teachings of Thin Lizzy, Rainbow, The Scorpions, and Uriah Heep but expressing the soulful, stressed notation with a soaring energy that makes them pass faster than they seem in their exhilarating flight. While the style might be dated, that only adds to his charm and how it works its way out of the particular nuances of his playing. Save for “North North West”, the six to nine minute runtimes of these songs makes it quite a taxing listen. They aren’t exactly a prog band carrying many of these with pure momentum rather than intricate arrangement and for some that may be a dealbreaker. “Mammoth Trumpet” brings out the full power of Steffano as he pitches up further and further with the increasing flashiness of the harmonizing leads, almost daring them to try and outshine him. There are moments here that start to near Agent Steel or Sacral Rage falsetto heights although the band are relatively relaxed in their pacing. The title cut features the more mellow side of the band, with delicately swaying harmonies drifting into quasi-doomy mournful release, building grandeur through minor key layering, feeling like a smoothly played ballad even when the distortion kicks in. “Coward” is by far the heaviest hitter on the album, almost bringing to mind Battleroar as interpreted by Dio with its big, triumphant verse riff. “The Guardian” caps it off with an unexpectedly eerie, descending chord fanned through its verses, punctuated by simple basslines that cut right through its hazy, slightly doomy textures. While it doesn’t reach the same heights as its predecessor, Aita’s Sentence is a strong entry for Etrusgrave that nonetheless shows them having solidified their sound and pushing for an uncommon direction in neo-traditional metal that manages to feel ancient yet fresh in its relative unfamiliarity. Its simple elongated songwriting and floaty delivery will make it a somewhat niche item for most metal listeners, even those into more obscure styles. Where they can grow would perhaps be stronger, more definite riffs and better variety in song layout as there are moments when the harmony alone doesn’t quite hold the songs together. In some ways it feels like a further streamlined take on Tophet which isn’t a bad idea but its own strengths could potentially become weaknesses if taken further and further. Overall, recommended for those who don’t mind more spacious heavy metal or the recent batch of hard rock/heavy metal hybrids and otherwise antiquated styles in general. This entry was posted in Heavy Metal, Reviews and tagged Corsair, Dark Quarterer, Deep Purple, dio, Etrusgrave, hard rock, Heavy Metal, italy, rainbow, tarot, thin lizzy.